For other uses, see Hero (disambiguation) and Heroes (disambiguation). "Heroism" and "Heroic" redirect here. For the film, see Heroism (film). For the racehorse, see Heroic (horse). "Heroine" redirects here. It is not to be confused with Heroin. For other uses, see Heroine (disambiguation). A hero (masculine) or heroine (feminine) (also known as the "good guy" or "white hat") is a real person or a main fictional character of a literary work who, in the face of danger, combats adversity through feats of ingenuity, bravery or strength; the original hero type of classical epics did such things for the sake of glory and honor. On the other hand are post-classical and modern heroes, who perform great deeds or selfless acts for the common good instead of the classical goal of wealth, pride and fame. The antonym of a hero is a villain. The concept of the hero can be found in classical literature. It is the main or revered character in heroic epic poetry celebrated through ancient legends of a people, often striving for military conquest and living by a continually flawed personal honor code. The definition of a hero has changed throughout time. Merriam Webster dictionary defines a hero as "a person who is admired for great or brave acts or fine qualities." Examples of heroes range from mythological figures, such as Gilgamesh, Achilles and Iphigenia, to historical figures, such as Joan of Arc, Giuseppe Garibaldi or Sophie Scholl, modern heroes like Alvin York, Audie Murphy and Chuck Yeager, and fictional superheroes, including Superman, Batman, and Wonder Woman. The word hero comes from the Greek ἥρως (hērōs), "hero" (literally "protector" or "defender"), particularly one such as Heracles with divine ancestry or later given divine honors. Before the decipherment of Linear B the original form of the word was assumed to be *ἥρωϝ-, hērōw-, but the Mycenaean compound ti-ri-se-ro-e demonstrates the absence of -w-. According to the American Heritage Dictionary of the English Language, the Proto-Indo-European root is *ser meaning "to protect". According to Eric Partridge in Origins, the Greek word Hērōs "is akin to" the Latin seruāre, meaning to safeguard. Partridge concludes, "The basic sense of both Hera and hero would therefore be 'protector'." R. S. P. Beekes rejects an Indo-European derivation and asserts that the word has a Pre-Greek origin. A classical hero is considered to be a "warrior who lives and dies in the pursuit of honor" and asserts their greatness by "the brilliancy and efficiency with which they kill". Each classical hero's life focuses on fighting, which occurs in war or during an epic quest. Classical heroes are commonly semi-divine and extraordinarily gifted, like Achilles, evolving into heroic characters through their perilous circumstances. While these heroes are incredibly resourceful and skilled, they are often foolhardy, court disaster, risk their followers' lives for trivial matters, and behave arrogantly in a childlike manner. During classical times, people regarded heroes with the highest esteem and utmost importance, explaining their prominence within epic literature. The appearance of these mortal figures marks a revolution of audiences and writers turning away from immortal gods to mortal mankind, whose heroic moments of glory survive in the memory of their descendants, extending their legacy. Hector was a Trojan prince and the greatest fighter for Troy in the Trojan War, which is known primarily through Homer's The Iliad. Hector acted as leader of the Trojans and their allies in the defense of Troy, "killing 31,000 Greek fighters," offers Hyginus. Hector was known not only for his courage but also for his noble and courtly nature. Indeed, Homer places Hector as peace-loving, thoughtful as well as bold, a good son, husband and father, and without darker motives. However, his familial values conflict greatly with his heroic aspirations in The Iliad, as he cannot be both the protector of Troy and a father to his child. Hector is ultimately betrayed by the gods when Athena appears disguised as his ally Deiphobus and convinces him to take on Achilles, leading to his death at the hands of a superior warrior. Achilles was a Greek Hero who was considered the most formidable military fighter in the entire Trojan War and the central character of The Iliad. He was the child of Thetis and Peleus, making him a demi-god. He wielded superhuman strength on the battlefield and was blessed with a close relationship to the Gods. Achilles famously refuses to fight after his dishonoring at the hands of Agamemnon, and only returns to the war due to unadulterated rage after Hector kills his close friend Patroclus. Achilles was known for uncontrollable rage that defined many of his bloodthirsty actions, such as defiling Hector's corpse by dragging it around the city of Troy. Achilles plays a tragic role in The Iliad brought about by constant de-humanization throughout the epic, having his menis (wrath) overpower his philos (love). Heroes in myth often had close but conflicted relationships with the gods. Thus Heracles's name means "the glory of Hera", even though he was tormented all his life by Hera, the Queen of the Gods. Perhaps the most striking example is the Athenian king Erechtheus, whom Poseidon killed for choosing Athena over him as the city's patron god. When the Athenians worshiped Erechtheus on the Acropolis, they invoked him as Poseidon Erechtheus. Fate, or destiny, plays a massive role in the stories of classical heroes. The classical hero's heroic significance stems from battlefield conquests, an inherently dangerous action. The gods in Greek Mythology, when interacting with the heroes, often foreshadow the hero's eventual death on the battlefield. Countless heroes and gods go to great lengths to alter their pre-destined fate, but with no success, as no immortal can change their prescribed outcomes by the three Fates. The most prominent example of this is found in Oedipus Rex. After learning that his son, Oedipus, will end up killing him, the King of Thebes, Laius, takes huge steps to assure his son's death by removing him from the kingdom. But, Oedipus slays his father without an afterthought when he unknowingly encounters him in a dispute on the road many years later. The lack of recognition enabled Oedipus to slay his father, ironically further binding his father to his fate. Stories of heroism may serve as moral examples. However, classical heroes often didn't embody the Christian notion of an upstanding, perfectly moral hero. For example, Achilles's character-issues of hateful rage lead to merciless slaughter and his overwhelming pride lead to him only joining the Trojan War because he didn't want his soldiers to win all of the glory. Classical heroes, regardless of their morality, were placed in religion. In classical antiquity, cults that venerated deified heroes such as Heracles, Perseus, and Achilles played an important role in Ancient Greek religion. These ancient Greek hero cults worshipped heroes from oral epic tradition, with these heroes often bestowing blessings, especially healing ones, on individuals. The concept of the "Mythic Hero Archetype" was first developed by Lord Raglan in his 1936 book, The Hero, A Study in Tradition, Myth and Drama. It is a set of 22 common traits that he said were shared by many heroes in various cultures, myths and religions throughout history and around the world. Raglan argued that the higher the score, the more likely the figure is mythical. The concept of a story archetype of the standard monomythical "hero's quest" that was reputed to be pervasive across all cultures is somewhat controversial. Expounded mainly by Joseph Campbell in his 1949 work The Hero with a Thousand Faces, it illustrates several uniting themes of hero stories that hold similar ideas of what a hero represents, despite vastly different cultures and beliefs. The monomyth or Hero's Journey consists of three separate stages including the Departure, Initiation, and Return. Within these stages there are several archetypes that the hero or heroine may follow including the call to adventure (which they may initially refuse), supernatural aid, proceeding down a road of trials, achieving a realization about themselves (or an apotheosis), and attaining the freedom to live through their quest or journey. Campbell offered examples of stories with similar themes such as Krishna, Buddha, Apollonius of Tyana, and Jesus. One of the themes he explores is the androgynous hero, who combines male and female traits, like Bodhisattva: "The first wonder to be noted here is the androgynous character of the Bodhisattva: masculine Avalokiteshvara, feminine Kwan Yin." In his 1968 book, The Masks of God: Occidental Mythology, Campbell writes "It is clear that, whether accurate or not as to biographical detail, the moving legend of the Crucified and Risen Christ was fit to bring a new warmth, immediacy, and humanity, to the old motifs of the beloved Tammuz, Adonis, and Osiris cycles." No history can be written without consideration of the lengthy list of recipients of national medals for bravery, populated by firefighters, policemen and policewomen, ambulance medics and ordinary have-a-go heroes. These persons risked their lives to try to save or protect the lives of others: for example, the Canadian Cross of Valour (C.V.) "recognizes acts of the most conspicuous courage in circumstances of extreme peril"; examples of recipients are Mary Dohey and David Gordon Cheverie. The philosopher Hegel gave a central role to the "hero", personalized by Napoleon, as the incarnation of a particular culture's Volksgeist, and thus of the general Zeitgeist. Thomas Carlyle's 1841 On Heroes, Hero Worship and the Heroic in History also accorded a key function to heroes and great men in history. Carlyle centered history on the biography of a few central individuals such as Oliver Cromwell or Frederick the Great. His heroes were political and military figures, the founders or topplers of states. His history of great men included geniuses good and, perhaps for the first time in historical study, evil. Explicit defenses of Carlyle's position were rare in the second part of the 20th century. Most in the philosophy of history school contend that the motive forces in history can best be described only with a wider lens than the one that Carlyle used for his portraits. For example, Karl Marx argued that history was determined by the massive social forces at play in "class struggles", not by the individuals by whom these forces are played out. After Marx, Herbert Spencer wrote at the end of the 19th century: "You must admit that the genesis of the great man depends on the long series of complex influences which has produced the race in which he appears, and the social state into which that race has slowly grown....Before he can remake his society, his society must make him." Michel Foucault argued in his analysis of societal communication and debate that history was mainly the "science of the sovereign", until its inversion by the "historical and political popular discourse". 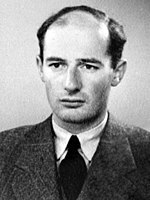 The Swedish Diplomat Raoul Wallenberg saved the lives of tens of thousands of Jews in Budapest during World War II. Modern examples of the typical hero are Minnie Vautrin, Norman Bethune, Alan Turing, Raoul Wallenberg, Chiune Sugihara, Martin Luther King Jr., Mother Teresa, Nelson Mandela, Oswaldo Paya, Oscar Biscet, and Aung San Suu Kyi. The Annales School, led by Lucien Febvre, Marc Bloch and Fernand Braudel, would contest the exaggeration of the role of individual subjects in history. Indeed, Braudel distinguished various time scales, one accorded to the life of an individual, another accorded to the life of a few human generations, and the last one to civilizations, in which geography, economics and demography play a role considerably more decisive than that of individual subjects. Among noticeable events in the studies of the role of the hero and Great man in history one should mention Sydney Hook's book (1943) The Hero in History. In the second half of the twentieth century such male-focused theory has been contested, among others by feminists writers such as Judith Fetterley in The Resisting Reader (1977) and literary theorist Nancy K. Miller, The Heroine's Text: Readings in the French and English Novel, 1722–1782. In the epoch of globalization an individual can still change the development of the country and of the whole world so this gives reasons to some scholars to suggest returning to the problem of the role of the hero in history from the viewpoint of modern historical knowledge and using up-to-date methods of historical analysis. Within the frameworks of developing counterfactual history, attempts are made to examine some hypothetical scenarios of historical development. The hero attracts much attention because most of those scenarios are based on the suppositions: what would have happened if this or that historical individual had or had not been alive. If the term "heroine" exists,[clarification needed] "hero" is often the predominantly used term even though its neutrality can be put into question. The definitions of the heroine often refer back to the one of the hero, but sometimes insinuate that their deeds are of less value, or were obtained only thanks to their love of God or a country or of a man. Therefore, implying that an external explanation for the extraordinary nature of her deeds is needed to justify them. The warrior women is considered unholy, unnatural. These figures tend to be erased because they don't fit in the feminine values they are supposed to represent. Acts of heroism coming from women are acceptable, during specific time, like when men are at war, during times of crisis, but they are otherwise often seen as suspicious. Moreover, women are often not individualized, but praised as a group for heroic deeds. Women in the military were often subordinated to tasks less likely to be praised than armed combat, and are rather praised for their courage as a general force, nurses during wartime are a good example of this phenomenon. If their story gets told, they are made to fit in the acceptable script. Their story is told in a way as to match the expectations of femininity ex: maternal love, compassion, fidelity, resistance, defense. Etc. So the set of strengths in which a heroine could historically express her value are overall not the same and perceived as less valuable than their masculine counterpart. If they get mentioned in history, the way their story is told also differs from their male counterpart, they are generally portrayed as young and beautiful, their actions are limited to a short time lapse in opposition to the possibility of a long heroic career for male heroes, underlying feelings that led to their heroic acts are underlined, overall less details about their life are kept and emphasis is put over their tragic death. Not to forget that heroes and heroines are part of a social construct, their history is told and changes throughout history to serve different purposes of memory, propaganda according to diverse social, political or religious evolutions. Batman (Adam West) and Robin (Burt Ward) in the 1966–1968 TV Series Batman. The word "hero" or "heroine", in modern times, is sometimes used to describe the protagonist or the love interest of a story, a usage which can conflict with the superhuman expectations of heroism. A classic example is Anna Karenina, the lead character in the novel of the same title by Leo Tolstoy. In modern literature the hero is more and more a problematic concept. In 1848, for example, William Makepeace Thackeray gave Vanity Fair the subtitle A Novel without a Hero, and imagined a world in which no sympathetic character was to be found. Vanity Fair is a satirical representation of the absence of truly moral heroes in the modern world. The story focuses on the characters Emmy Sedley and Becky Sharpe (the latter as the clearly defined anti-hero), with the plot focused on the eventual marriage of these two characters to rich men, revealing character flaws as the story progresses. Even the most sympathetic characters, like Captain Dobbin, are susceptible to weakness, as he is often narcissistic and melancholy. The larger-than-life hero is a more common feature of fantasy (particularly in comic-books and epic fantasy) than more realist works. However, these larger-than life figures remain prevalent in society. The superhero genre is a multibillion-dollar industry that includes comic books, movies, toys and video games. Superheroes usually possess extraordinary talents and powers that no living human could ever emulate. The superhero stories often pit a super villain against the hero, with the hero fighting the crime caused by the super villain. Examples of long-running superheroes include Superman, Batman, Spider-Man and Wonder Woman. Social psychology has begun paying attention to heroes and heroism. Zeno Franco and Philip Zimbardo point out differences between heroism and altruism, and they offer evidence that observers' perceptions of unjustified risk plays a role above and beyond risk type in determining the ascription of heroic status. An evolutionary psychology explanation for heroic risk-taking is that it is a costly signal demonstrating the ability of the hero. It can be seen as one form of altruism for which there are also several other evolutionary explanations. Roma Chatterji has suggested that the hero or more generally protagonist is first and foremost a symbolic representation of the person who is experiencing the story while reading, listening or watching; thus the relevance of the hero to the individual relies a great deal on how much similarity there is between the two. One reason for the hero-as-self interpretation of stories and myths is the human inability to view the world from any perspective but a personal one. In the Pulitzer Prize-winning book The Denial of Death, Ernest Becker argues that human civilization is ultimately an elaborate, symbolic defense mechanism against the knowledge of our mortality, which in turn acts as the emotional and intellectual response to our basic survival mechanism. Becker explains that a basic duality in human life exists between the physical world of objects and a symbolic world of human meaning. Thus, since humanity has a dualistic nature consisting of a physical self and a symbolic self, we are able to transcend the dilemma of mortality through heroism, by focusing our attention mainly on our symbolic selves. This symbolic self-focus takes the form of an individual's "immortality project" (or "causa sui project"), which is essentially a symbolic belief-system that ensures oneself is believed superior to physical reality. By successfully living under the terms of the immortality project, people feel they can become heroic and, henceforth, part of something eternal; something that will never die as compared to their physical body. This, in turn, gives people the feeling that their lives have meaning, a purpose, and are significant in the grand scheme of things. Another theme running throughout the book is that humanity's traditional "hero-systems", such as religion, are no longer convincing in the age of reason. Science attempts to serve as an immortality project, something that Becker believes it can never do, because it is unable to provide agreeable, absolute meanings to human life. The book states that we need new convincing "illusions" that enable us to feel heroic in ways that are agreeable. Becker, however, does not provide any definitive answer, mainly because he believes that there is no perfect solution. Instead, he hopes that gradual realization of humanity's innate motivations, namely death, can help to bring about a better world. Terror Management Theory has generated evidence supporting this perspective. ^ a b c d "Encyclopedia - Britannica Online Encyclopedia". academic.eb.com. Retrieved 2015-12-06. ^ "Definition of HERO". www.merriam-webster.com. Retrieved 2 October 2017. ^ R. S. P. Beekes, Etymological Dictionary of Greek, Brill, 2009, p. 526. ^ a b c d Schein, Seth (1984). The Mortal Hero: An Introduction to Homer's Iliad. University of California Press. p. 58. ^ Levin, Saul (1984). "Love and the Hero of the Iliad". Transactions and Proceedings of the American Philological Association. 80: 43–50. doi:10.2307/283510. JSTOR 283510. ^ a b "Articles and musing on the concept of Fate for the ancient Greeks" (PDF). Auburn University. ^ "Four Conceptions of the Heroic". www.fellowshipofreason.com. Retrieved 2015-12-07. ^ a b Graf, Fritz. (2006) "Hero Cult." Brills New Pauly. Retrieved from http://referenceworks.brillonline.com/entries/brill-s-new-pauly/hero-cult-e511460?s.num=1&s.f.s2_parent=s.f.book.brill-s-new-pauly&s.q=hero. ^ Spencer, Herbert. The Study of Sociology, Appleton, 1896, p. 34. ^ "The Library of Congress: Bill Summary & Status 112th Congress (2011–2012) H.R. 3001". 2012-07-26. ^ "Holocaust Hero Honored on Postage Stamp". United States Postal Service. 1996. ^ Hook, S. 1955 . The Hero in History. A Study in Limitation and Possibility. Boston, MA: Beacon Press. ^ Fetterley, Judith (1977). The Resisting Reader. Bloomington, IN: Indiana University Press. ^ Miller, Nancy K. (1980). The Heroine's Text: Readings in the French and English Novel, 1722–1782. New York: Columbia University Press. ^ Dermenjian, Geneviève; Guilhaumou, Jacques; Lapied, Martine (2004). Le panthéon des femmes : figures et représentations des héroines (in French). Paris : Éd. Publisud. p. 236. ^ Franco, Z.; Blau, K.; Zimbardo, P. (2011). "Heroism: A conceptual analysis and differentiation between heroic action and altruism". Review of General Psychology. 5 (2): 99–113. CiteSeerX 10.1.1.366.8315. doi:10.1037/a0022672. ^ Pat Barcaly. The evolution of charitable behaviour and the power of reputation. In Roberts, S. C. (2011). Roberts, S. Craig (ed.). Applied Evolutionary Psychology. Oxford University Press. doi:10.1093/acprof:oso/9780199586073.001.0001. ISBN 9780199586073. ^ Chatterji, Roma (January 1986). "The Voyage of the Hero: The Self and the Other in One Narrative Tradition of Purulia". Contributions to Indian Sociology. 19 (19): 95–114. doi:10.1177/006996685019001007. Allison, Scott (2010). Heroes: What They Do and Why We Need Them. Richmond, Virginia: Oxford University Press. Bell, Andrew (1859). British-Canadian Centennium, 1759–1859: General James Wolfe, His Life and Death: A Lecture Delivered in the Mechanics' Institute Hall, Montreal, on Tuesday, September 13, 1859, being the Anniversary Day of the Battle of Quebec, fought a Century before in which Britain lost a Hero and Won a Province. Quebec: J. Lovell. p. 52. Blashfield, Jean (1981). Hellraisers, Heroines and Holy Women. New York: Saint Martin's Press. Burkert, Walter (1985). "The dead, heroes and chthonic gods". Greek Religion. Cambridge: Harvard University Press. Calder, Jenni (1977). Heroes. From Byron to Guevara. London: Hamish Hamilton. ISBN 978-0-241-89536-8. Campbell, Joseph (1949). The Hero with a Thousand Faces. Princeton: Princeton University Press. Chatterji, Roma (1986). "The Voyage of the Hero: The Self and the Other in One Narrative Tradition of Purulia". Contributions to Indian Sociology. 19: 95–114. doi:10.1177/006996685019001007. Craig, David, Back Home, Life Magazine-Special Issue, Volume 8, Number 6, 85–94. Dundes, Alan; Otto Rank; Lord Raglan (1990). In Quest of the Hero. Princeton: Princeton University Press. Hadas, Moses; Morton Smith (1965). Heroes and Gods. Harper & Row. Hein, David (1993). "The Death of Heroes, the Recovery of the Heroic". Christian Century. 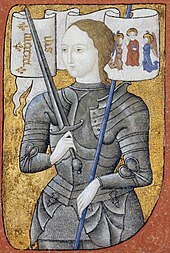 110: 1298–1303. Kerenyi, Karl (1959). The Heroes of the Greeks. London: Thames & Hudson. Khan, Sharif (2004). Psychology of the Hero Soul. Lee, Christopher (2005). Nelson and Napoleon, The Long Haul to Trafalgar. headline books. p. 560. ISBN 978-0-7553-1041-8. Price, John (2014). Everyday Heroism: Victorian Constructions of the Heroic Civilian. London: Bloomsbury. ISBN 978-1-4411-0665-0. Smidchens, Guntis (2007). "National Heroic Narratives in the Baltics as a Source for Nonviolent Political Action". Slavic Review. 66, 3 (3): 484–508. doi:10.2307/20060298. JSTOR 20060298. Svoboda, Elizabeth (2014). What Makes a Hero? : The Surprising Science of Selflessness. Current. ISBN 978-1617230134. Wikimedia Commons has media related to hero. The British Hero - online exhibition from screenonline, a website of the British Film Institute, looking at British heroes of film and television.